MeriTalk's new publication, 21st Century State & Local (www.21centurystate.com) is now live. 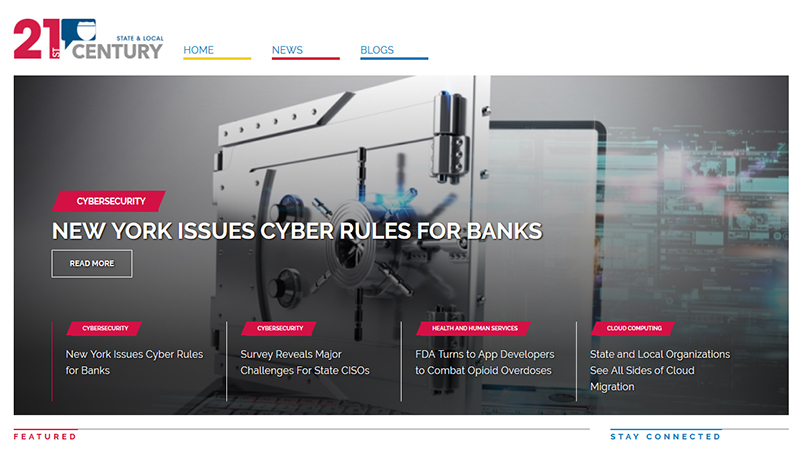 It is my pleasure to introduce 21st Century State & Local—a new online publication from the leading government IT media organization, MeriTalk. For many years, MeriTalk has helped drive the national technology and policy conversation in Washington, D.C., through forward-thinking and candid editorial products in print, online, and in person at our events series. Now, we’re bringing this same editorial leadership that we’ve built over many years in the Federal sector to the brave new world of state and local IT. As I write this, 21st Century State & Local is less than three days old. But we’ve been actively planning and producing content for state and local IT decision-makers for the past six months. We’ve focused on an honest, data-driven view of the hot-button technology issues facing state and local governments across the United States. 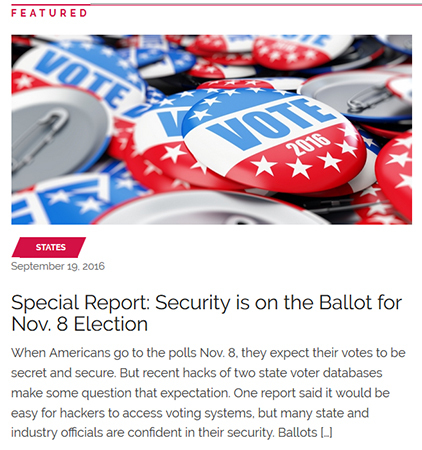 Our launch edition features a special report on election security, in which our cybersecurity reporter Jessie Bur investigates both sides of the voting system cybersecurity debate. In addition, Kate DeNardi reports on how states across the country are using innovative voting technologies to improve access, shorten wait times, and enable easier reporting of results. And Morgan Lynch explores the unique challenges that our deployed military members and overseas citizens face when trying to cast their ballots. We’re also introducing an exclusive technology column by veteran technology reporter John Breeden II—21st Century Tech Talk. John will bring his two decades of IT reporting experience to the technology pages of our site. We pledge to continue to mix IT up with new ideas, covering news, trends, and perspectives on technology that are of most use to state and local IT decision-makers, and we’ll do so with the in-depth analysis you need and deserve. Our connections to an extensive network of national IT policymakers and practitioners help us to not only report on the latest trends, but also investigate proposed solutions, expose potential pitfalls, and recommend best practices unlike any other publication. I invite you to follow us on Twitter and Facebook, and visit us online to subscribe for free to our weekly newsletter.